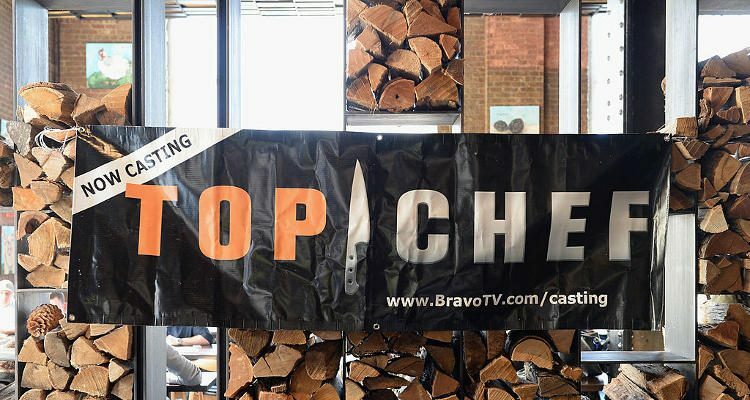 Top Chef season 14 premiered on December 1, 2016 on Bravo TV with returning judges Padma Lakshmi, Tom Colicchio, and Gail Simmons. Top Chef Charleston features eight returning contestants and eight newcomers. The season started with a Quickfire Challenge where the chefs prepared chicken dishes and Gerald Sombright was knocked out of the challenge. In the second episode, the chefs drove to Charleston’s Boone Hall Plantation, a landmark that used to be an actual cotton plantation. Fans of the show considered the venue a bad choice and they felt it would have been as exciting as the first episode, had the venue been different. The thrill was gone. Let’s take a look at some of the new and old chefs. The new face of the season, Barban, is from Brooklyn. She is the Chef and Owner of Aita Restaurant and LaRina Pastificio e Vino. She even worked as a pastry chef for Giancarlo Perbellini, learning to cook modern and traditional desserts. He moved to Charlotte in 2002 to pursue his dream and open 5Church. He was voted as Best Chef in 2013, 2014 and 2015 in Charlotte Magazine’s “Best of the Best” Awards. He is the Executive Chef and partner at 5Church Group and oversees 5Church Charleston as well as 5Church Atlanta and Charlotte. The Haitian native worked at Jean Georges’ restaurant at the Trump Hotel. He is preparing to open a new restaurant, Maison208, in Center City this winter. He leads the culinary team at Marco Island Marriott Beach Resort’s signature restaurant, Ario. He got eliminated in the first episode. He has around 15 years of experience and hails from St. Louis, Missouri. He is the Executive Chef of the State of Alabama and Chairman of the Alabama Seafood Marketing Commission. He cooks all the meals for Governor Robert Bentley and his family and prepares menus for events sponsored by the State. Pettry is the owner of Decca in Louisville, Kentucky. She was Restaurant Hospitality‘s 15 To Watch in 2015, Food & Wine magazine’s The People’s Best New Chef nominee for the southeast in 2015 and StarChefs’ Rising Star in 2014. Talbot was a semi-finalist on season 2 of Top Chef Los Angeles and was voted as Fan Favorite. He plans to open Pretty Southern, in Brooklyn—a new culinary destination that will have healthy and elevated southern comfort food like clean fried chicken. It is the third time Thompson will appear on the show. Previously she appeared in season 3: Miami and season 8: All-Stars. She is the Executive Chef at Inn at Rancho Santa Fe. She appeared in season 7: Washington D.C. and worked at four Michelin-starred restaurants. She’s getting her Masters in Mixology whilr working as a bartender at Chicago’s The Victor Bar. The L.A. native was in season 10: Seattle. She competed in Top Chef Duels and hosted MTV’s House of Food. Along with her husband, she runs the Hudson House, The Tripel, Playa Provisions, and Da Kikokiko. He was also on season 10: Seattle where he finished as a finalist. Although he was a Fan Favorite, he told Hollywood Reporter he used to mess up in front of the cameras at the beginning of the show. The season 10: Seattle chef is known for modern American cuisine prepared with classic European techniques, innovative culinary perspective, and no-nonsense personality. Season 11: New Orleans chef is partner of Twenty Eight. She opened restaurants for Thomas Keller, Guy Savoy and Mario Batali, and took the third position at NOLA. He appeared in season 12: Boston and lives in L.A. He runs Mexikosher Restaurant, bringing a Kosher twist to his Mexican cooking.